I’ve had the great fortune to quietly face endangered animals in the wild many times. Each time, I connect with their eyes. I always yearn to stay in that moment. To freeze time and somehow communicate a promise; eye to eye. A promise that humans can be friend rather than foe. Those wild eyes hold trust – to allow me such close proximity without stress. I’m grateful for the trust – that I will not cause them harm. But, I feel sadly responsible and even guilty – I represent the human reason that so many are endangered. With fewer than 4,000 left in the world, their numbers continue to severely declined. They are shot and poisoned by farmers…..killed on roads and in snares. Rabies, introduced by domestic dogs, has also caused great losses. The most social of all canines; they hunt cooperatively and efficiently together and take care of any old, sick or disabled pack members. Only the alpha pair in a pack breed. The pups are the center of attention with all pack members participating in their care and feeding. 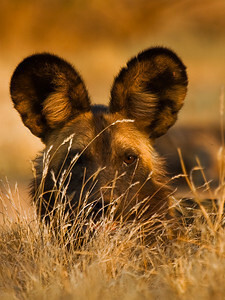 Our next generation my only know the African Wild Dog as extinct. 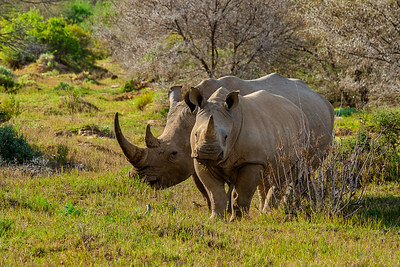 Rhinos are killed by poachers at a rate of nearly one every day. Valued at more than diamonds, gold or cocaine; a pound of rhino horn powder is said to exceed $30,000 in value on the black market. Composed mainly of keratin; the horn is very similar to our hair, fingernails or animal hooves. The Asian appetite to its bogus medicinal uses drives demand to the point that rhino have only a fragile hold on existence in the future. 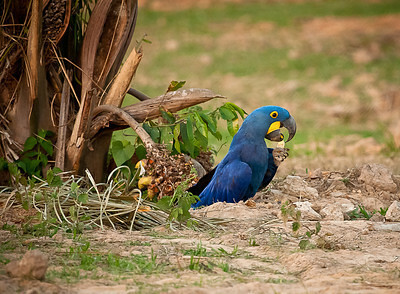 Intelligent…..Curious…..Affectionate Native to Central and South America, the Hyacinth Macaw is the largest of all parrots and with a lifespan of 70-90 years, the caged bird pet trade nearly forced them to extinction. Pairs mate for life with a bond that makes them inseparable. They preen each other, share food and roost together – physically touching much of the time. A single hatchling is raised by parents that protect their solitary offspring for an unusually long period of months until maturity. With their population in rapid decline, Jaguar are in critical danger of extinction. Hunter unmercifully during the 1960’s for their exquisite pelt; Jaguar were killed by the tens of thousands annually throughout Central and South America. Now with timber industry deforestation and subsequent loss of habitat, they compete more and more with humans for food. 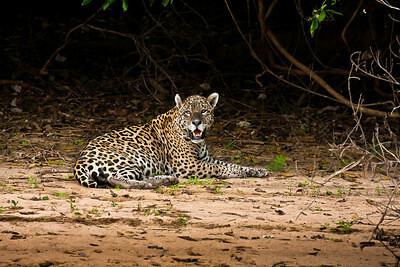 Jaguar are often shot on sight by ranchers who view them as a threat to their cattle. Hunting is now illegal in many countries, but black market poaching continues. Man's quest for their pelts nearly caused the Giant River Otter to become extinct. In the 1970's their count dropped to just 12 in the wild. They are slowly rebounding under strict protection - but still less than 5,000 live free. 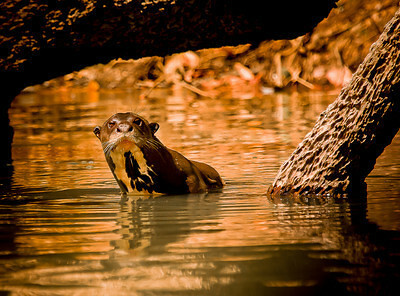 Otters reside in extremely social and cooperative family groups. All members share roles and support the cominant breeding pair. IT'S ALMOST, BUT NOT YET, TOO LATE!